Go comfrey! I've seen some of the HUGEST patches of comfrey along the railroad tracks out in the country here. HUGE. It spreads like mad. I bought some (and just mentioned it in my post) for the same purposes as you mentioned. I'll be interested to see how we both do with it this year. Ooooh! I can't wait to "share" too! 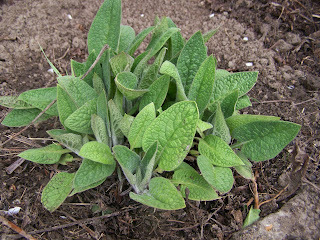 I love comfrey as much as I love nettle!!! Thanks for this warning, Louise. I plan on not letting it "steep" for too long and only using it on the outdoor plants. ;-) Hopefully it will do great things for my tomatoes. A friend told me that nettle also works wonders so I may try that too.